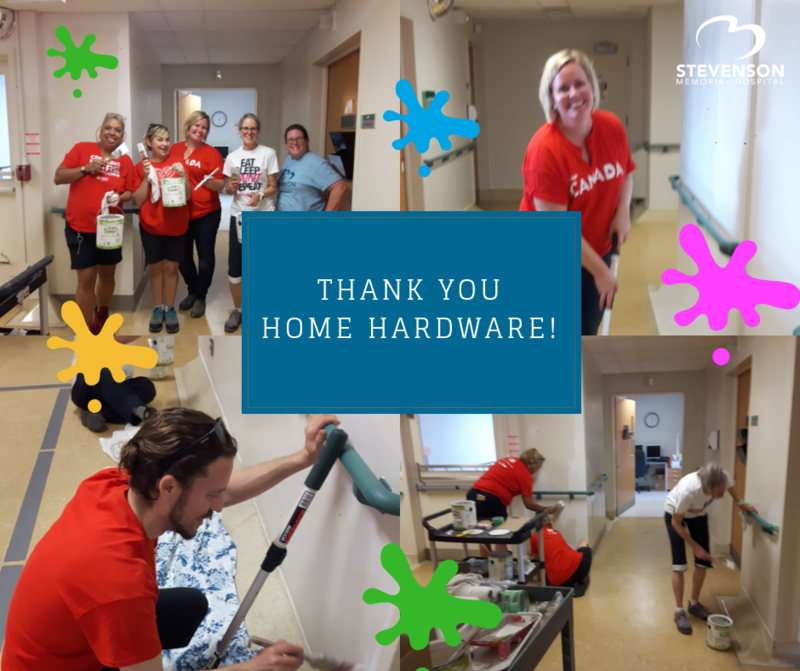 FOR IMMEDIATE RELEASE – [Oct 15, 2018] As a long-term, dedicated corporate supporter, Alliston Home Hardware Building Centre sent a team of five enthusiastic volunteers to Stevenson Memorial Hospital (SMH) on Oct.10 to paint the outpatient clinics. We are deeply grateful to the many generous community supporters and volunteers who have made the “Roll Up Your Sleeves” for Stevenson revitalization project a tremendous success. The ongoing transformation has been incredible and our patients and staff are thankful to have a brighter, refreshed space. Stevenson Memorial Hospital (SMH) is a progressive, acute care, community-based hospital located in the Town of New Tecumseth that offers 38 inpatient beds and a range of outpatient diagnostic and treatment services, including cataract, general surgery, maternal childcare and dialysis, as well as an Emergency Department with 24/7 coverage. Driven by our vision to set a new standard for community hospital care, every day we strive to deliver our mission of: Promising Progress, Pursuing Perfection.